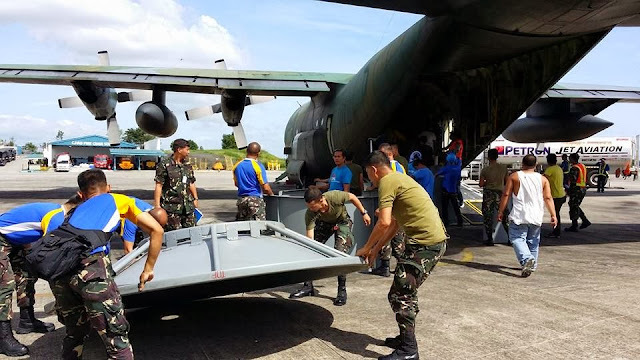 Smart Communications, Inc. (Smart) announced today that high-speed Internet access using Long-Term Evolution (LTE) technology at the downtown area of Tacloban City in Leyte was restored while cellular coverage was brought back to the city airport to provide vital communication links to aid emergency response efforts. As of 11 AM today, Smart and Digitel Mobile Philippines, Inc. (DMPI) have reactivated a total of 83% of its affected sites in the Visayas region. Meanwhile, network services have been restored 100% in Palawan. In particular, coverage has been restored last night in Coron and Culion, Palawan. Cellular service was also fired up in Daan Bantayan in Northern Cebu. In other areas, Smart has deployed Smart Satellite Services phones to provide Libreng Tawag services for residents. Aside from Borongan, Eastern Samar, Smart started providing free calls to residents in Guiuan, Eastern Samar and Dulag, Leyte. In partnership with Thuraya, Smart Satellite Services is also providing assistance to various government and humanitarian agencies. As the companies work in providing direct assistance to companies affected by Typhoon Yolanda, a free all-network and international SMS bundle offer has also been provided to Smart, Sun and Talk ‘N Text subscribers. Starting today, the free SMS bundle, comprised of 25 all-net text and three international text messages are being automatically pushed to subscribers daily for five days until November 17. The service does not require any registration. The offer is initially available in hard hit areas Aklan, Antique, Capiz, Leyte, Northern Cebu, Palawan and Samar, where an estimated five million subscriber base stands to benefit. Smart also announced that it has partnered with popular social networking and micro blogging service provider Twitter in offering free Twitter updates via text to communities in hard-hit areas. “Access to relevant information is as important as being able to inform family and loved ones that you are among the survivors of super Typhoon Yolanda,” said Charles Lim, Executive Vice President and Division Head of Smart Wireless Consumer Business. “Free Twitter SMS will enable our subscribers in severely damaged parts in the Visayas to keep abreast with relevant announcements and online posts from relief and disaster response agencies like the Department of Social Welfare and Development (DSWD), the Department of Science and Technology (DOST), and the Philippine National Red Cross (PNRC), among others,” Lim added. Smart recommends the following Twitter accounts: @smartcares, @talkntext @suncelltweets @dost_pagasa, @dswdserves @philredcross and @interaksyon. The initial offer provides up to 20 tweets that can be received for free per day for the next 14 days starting November 14. Users will not be charged for every Twitter SMS they send to these accounts. As part of a global philanthropy call of the United Nations, Smart with its mobile financial services subsidiary Smart e-Money, has partnered with four leading global mobile airtime remittance hubs that interconnect mobile operators’ prepaid systems to deliver international donations via mobile. These are Transfer To, Tranglo, www.exetop.com, and Aryty, which together cover more than 250 partner mobile network operators in 90 countries. To contribute to a disaster relief communities devastated by Typhoon Yolanda, mobile subscribers can just key-in +63-999-7-000-000 (12-digits) as the beneficiary mobile number following their mobile service providers’ airtime top-up mechanics. This fund-raising program will last until December 31, 2013 to allow mobile subscribers in over 40 countries to donate mobile airtime at a maximum of US$10 a day. Countries such as Australia, Bahrain, Belgium, Brunei, Canada, Denmark, Finland, France, Germany, Great Britain (United Kingdom), Greece, Hong Kong, India, Iran, Ireland, Israel, Italy, Japan, Jordan, Kuwait, Macau, Malaysia, Netherlands, New Zealand, Nicaragua, Norway, Oman, Qatar, South Korea, Saudi Arabia, Singapore, Spain, Sweden, Switzerland, Taiwan, Turkey, United Arab Emirates, and the Vatican City, among others. All airtime donations generated will be credited to the Philippines relief drive using SMART BayadLoad (pay via load) and subsequently credited to the Philippine Disaster Recovery Foundation (PDRF) current account with the state-owned Land Bank of the Philippines. The PDRF is one of the three identified institutional conduits approved by the BSP together with the Department of Social Welfare and Development and the Philippine National Red Cross.